It is that time of year to celebration the Occasions and Sale-a-Bration. Click on the brochures to view. Do you Live in Canada? Come shop with me and you will be invited to the Canadian Papercraft Cards Scrapbook FB group. Join my team, and receive my 3D templates and more. 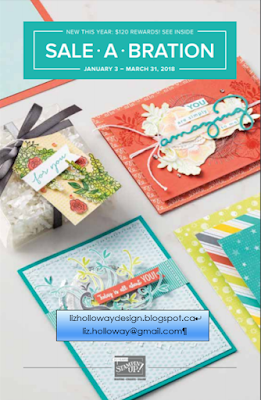 Liz Holloway, Stampin’ Up! Canada Independent Demonstrator! You can buy Stampin’ Up! online easily through my Stampin’ Up! shop link on Shopping & Catalogue tab, or within this blog post. I ship ACROSS Canada with my shop. Join my InkRedible Crafters team. As part of the team, you will receive my 3D designs too for your electronic cutter! And of course, you can find me on facebook, instagram, pinterest and on YouTube as liz holloway design and also known as stampersplus. Canadian Papercraft Cards Scrapbook. (by invites only). SUO Demos/Designers Showcase. (Open to all who loves using SU products).